In this photograph taken late Monday, Feb. 8, 2016, a Frontier Airlines plane heads to a runway at Denver International Airport. Passengers sat on a plane without power for nearly three hours Monday at Philadelphia International Airport. 6ABC first reported on the Frontier Airlines flight that was heading to Tampa Bay, Florida, which kept about 200 frustrated flyers stuck on the plane after it experienced technical issues. A Frontier spokesperson confirmed to PhillyVoice that the flight, which was already in a weather delay, was unable to be turned back on after it was turned off to de-ice. 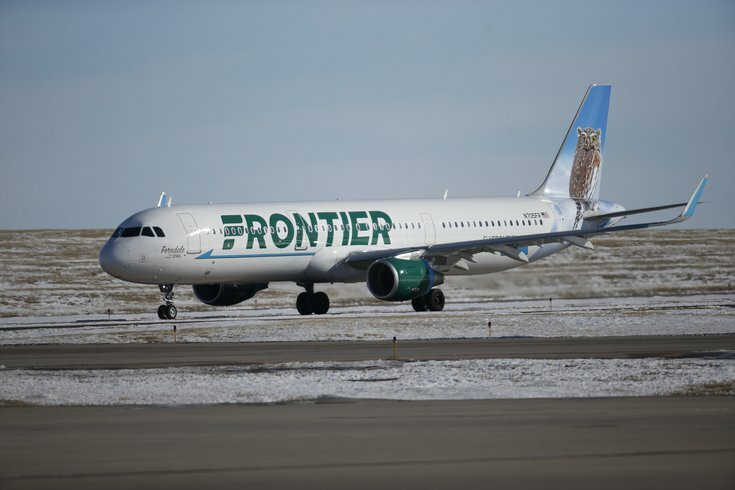 Because of the issue, the plane was stuck on the tarmac for 2 hours and 55 minutes, Frontier said. It was eventually cancelled. Without power, there was no heating or air conditioning. Others took to Twitter to complain. As a result of the incident, the airline is calling every customer on the flight and offering vouchers for future travel. A Frontier spokesperson said that they had created an extra flight Tuesday morning to Tampa Bay, but not every passenger had taken advantage of that option. According to ABC, passengers were initially offered hotel vouchers to a hotel that was already booked.